Mountain schools vary in size but usually support around 20 to 30 children of all ages ranging from 5 to 14. 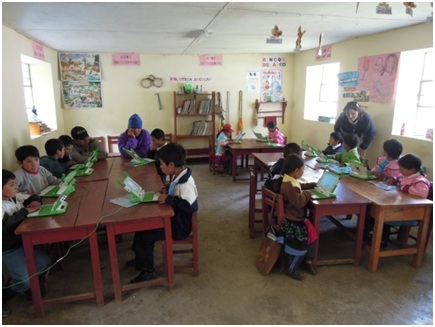 The role of the village school in both Peru and Nepal is to provide children with basic literacy and numeracy skills. Schools seek to train future village leaders. Schools are provided with teachers and limited resources by the local administration but this is often barely enough to cover basic educational needs. Good standards of education encourage students to remain in their local community and help to prevent migration to the shanty towns surrounding many big cities such as Lima and Kathmandu. 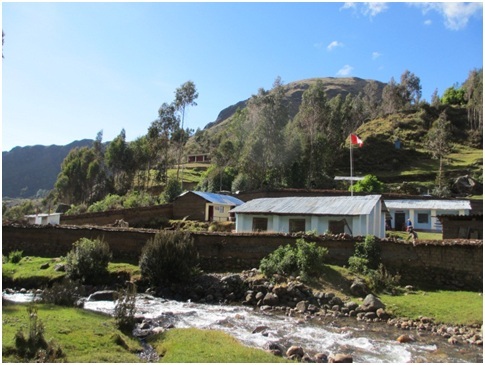 In Nepal’s Manasalu region, we have supported Samagaon school since it was built in 2010. We provide school supplies for the entire year, every year, together with sports equipment and science equipment. One of our current projects is helping the school to build a library. It costs very little to equip a school, usually around £300 per year. We have had a number of UK schools support and sponsor these projects. 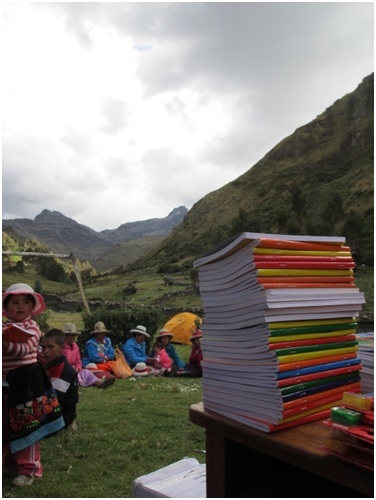 Depending upon available funds each village school receives an education resource pack designed by UK teachers to support the mountain school curriculum. All educational resources are purchased from local traders. 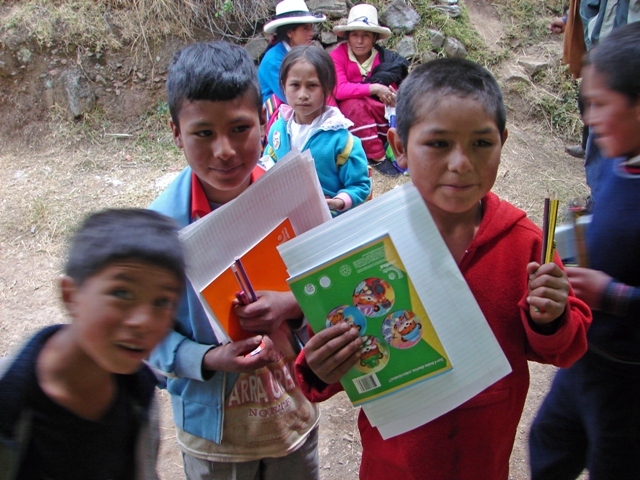 Supplies are largely purchased in Huarez in Peru and Kathmandu or Pokara in Nepal. The quantity of supplies and number of schools visited annually depends upon the availability of funds, space available and numbers of pack animals which can be reasonably hired. Of course many items could be transported from the UK but this is neither environmentally friendly nor supports the local economy. Read more on our How You Can Help page.